Following the Hasegawa, the school continued into a more peaceful era. Yet sword skills are still required along with all martial training for the samurai class. Training between different schools on different skills is not uncommon. Also, people move from places to places more freely and safely with less fighting between regions. This brought about an increase in the exchange of knowledge and skills. strongly resembles that taught by Omori Rokurozaemon Masamitsu (大森六郎左衛門正光) and that is with good reasons. Omori was originally a student Hasegawa, but left (or expelled, details not certain) and went to study under YagyuShinkage-Ryu (柳生新陰流). 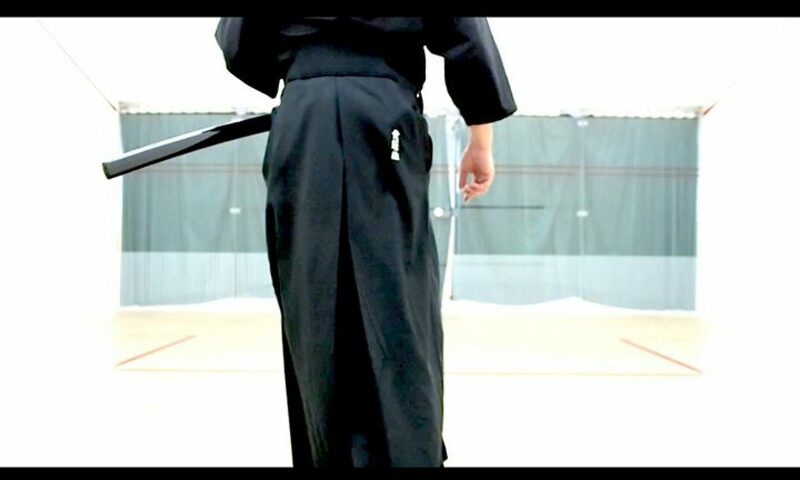 He developed his own technique based on the techniques learned from Eishin-Ryu and Shinkage-Ryu. Additionally, it is believed that he incorporated the etiquette taught by the Ogasawara-Ryu, (小笠原流) which would explain the seiza position. He merged all three and named it Omori-Ryu (大森流). For a long time, Omori-Ryu techniques were taught and practised alongside Eishi-Ryu until it is officially incepted as part of Musojikiden Eishin-Ryu nearly two centuries later. Hayashi is also responsible for introducing Eishin-Ryu (along with Omori-Ryu) to the Yamauchi Clan (山内家) of the Tosa (土佐) region. During this period, because of the popularity in the Toisa region, Eishin-Ryu is more commonly referred to as Tosa Eishin-Ryu. Eishin-Ryu continued to pass down to the 11th Soke Ōguro Motozaemon Kiyokatsu (大黒元衛門清勝), after whose death the school split into two branches “Ha” (派). These two branches were later given names of Tanimura-Ha (谷村派) and Shimomura-Ha (下村派). Tanimura is the name of the 15th Soke, while Shimomura-Ha later became Muso Shinden Eishin-Ryu (無双神傳英信流).